Better than an actual garage sale with nuthin' but rusty 486s and a scratched CD of "Myst"
This unique tablet offers a lot more than business on-the-go. It features a modular design that lets you turn your device into a laptop and a projector (projector module not included). Plus the detachable keyboard lets you personalize your X1 Tablet with color choices, and it includes the legendary TrackPoint and trackpad—so no mouse required. 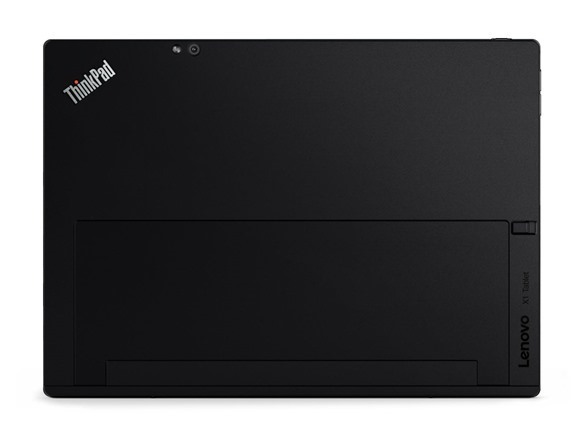 We call it the ThinkPad X1 Tablet, but it's so much more than your average 2-in-1 hybrid. 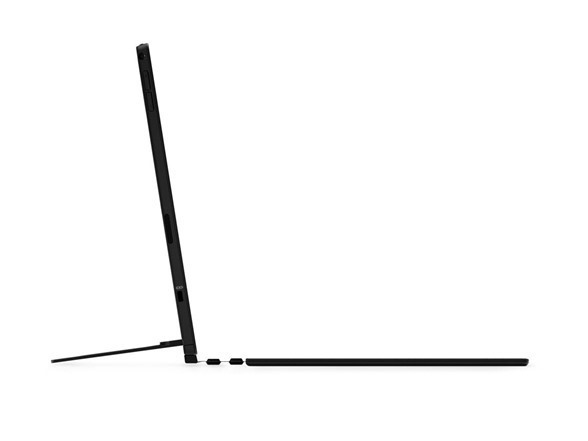 The unique modular design lets you turn the X1 Tablet into anything from a portable entertainment center, to a creativity device, or a productivity laptop. 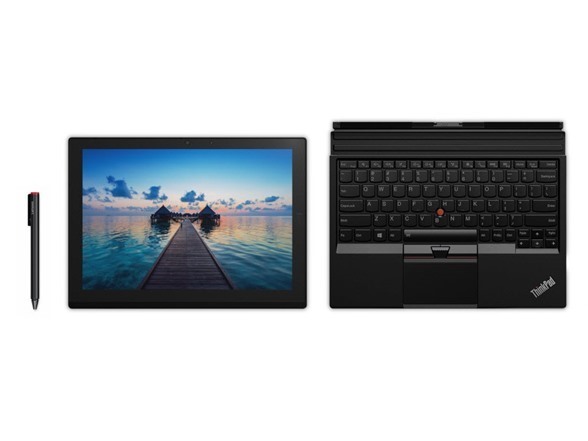 The 12-inch X1 Tablet is perfect for on-the-go, weighing less than 700 g / 1.5 lbs. 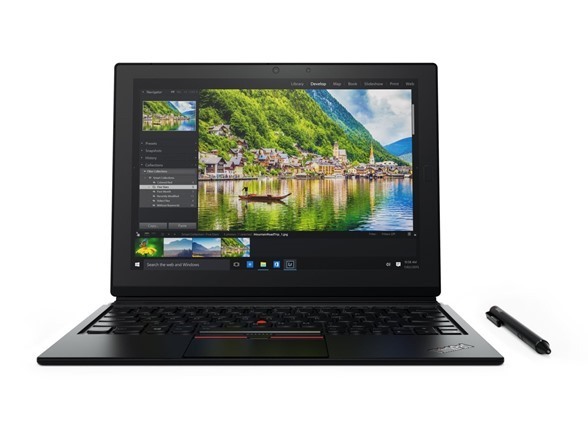 It delivers a powerful PC experience with an Intel Core processor, up to Windows 10 Pro OS, and up to 10 hours of battery life. 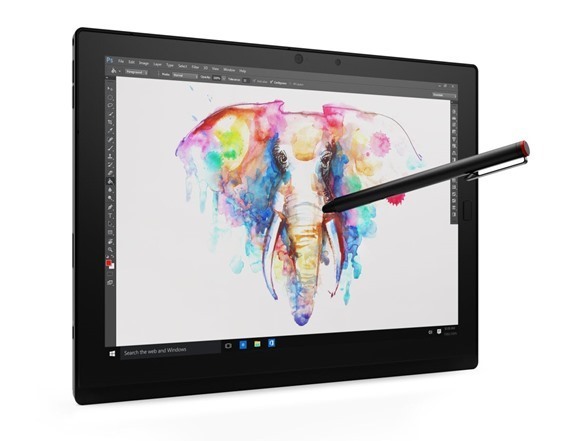 Tablet, the X1 Tablet is just 8.45 mm / 0.3 inches thin. 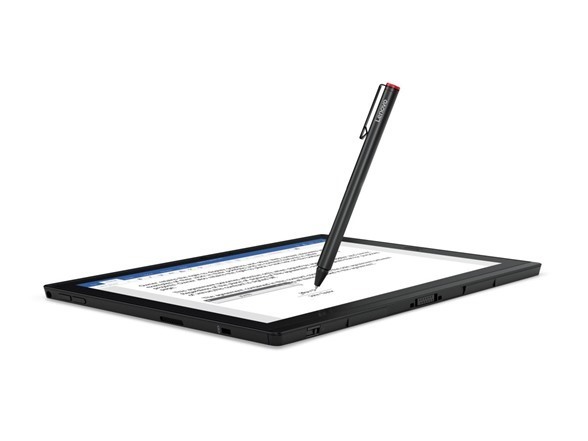 With the detachable keyboard snapped into place, the X1 Tablet is only 1.1 kg / 2.4 lbs. Whether for work or leisure, the high resolution 2K (2160 x 1440) display features widescreen IPS technology and an integrated, adjustable kickstand for viewing from any angle. 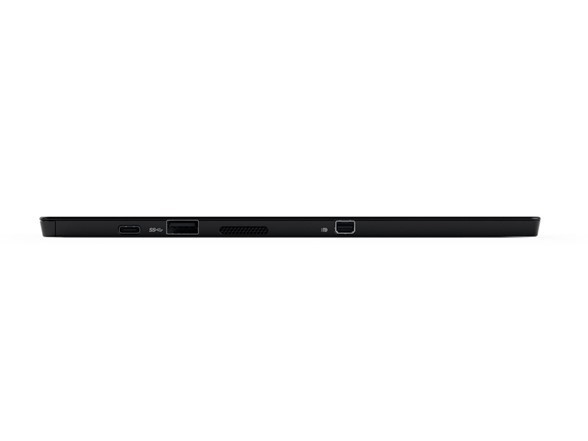 With the integrated speakers and Dolby® surround sound technology, the X1 Tablet is perfect for watching videos. Draw. Write. Edit documents. Use the stylus pen (optional accessory, not included) for sketching, annotating documents, or taking notes. 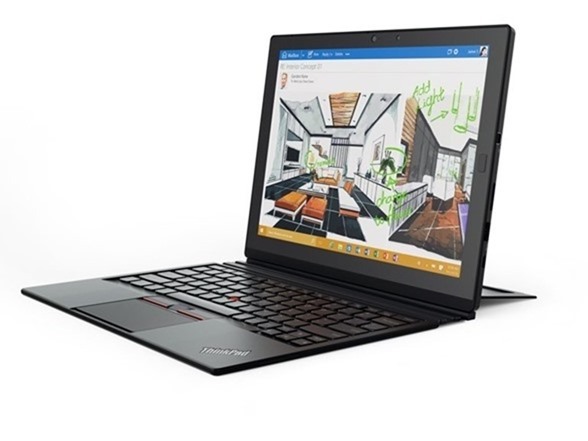 And with Lenovo's exclusive WRITEit technology, you can enter handwriting into any input field across hundreds of apps, and it automatically suggests and corrects your writing. 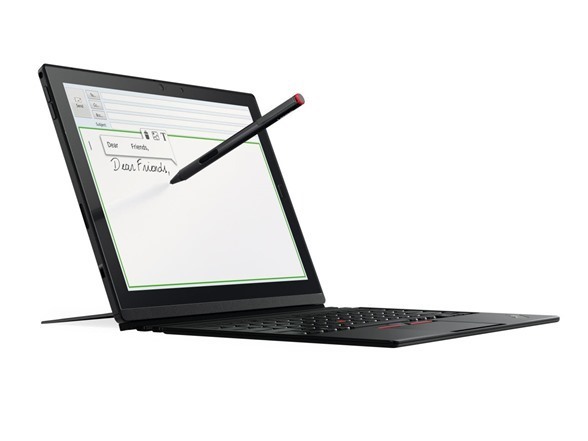 The X1 Tablet features the detachable keyboard with the legendary ThinkPad design. The built-in TrackPoint and trackpad replicates the feel of our award-winning keyboard that's been perfected over more than 20 years. This new keyboard is just 5.2 mm / 0.2 inches thin. And of course it works seamlessly with modules snapped into place. But perhaps the best feature is that, unlike our classic keyboards, you can adjust the typing angle for greater comfort, accuracy, and speed. Tablet Only: 11.45" x 8.25" x 0.34"